The government is to lift a ban that stops healthcare staff with HIV performing certain medical procedures. Healthcare staff in England, Wales and Scotland having HIV treatment will be able to take part in all tasks, including surgery and dentistry. England's chief medical officer, Prof Dame Sally Davies, said it was time to scrap "outdated rules". 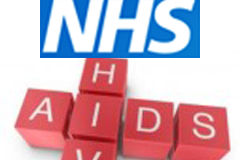 Self-testing kits for HIV will also be legalised from April 2014, with the aim of improving early diagnosis. diagnosed as HIV positive in 2008.
to his house being repossessed. workers will be allowed to return to their careers. Prof Davies said many of the UK's HIV policies were designed in the 1980s and had been left behind by scientific advances and effective treatments. She told the BBC that patients controlling their infection with medication were not a danger: "The risk is negligible and I would accept that for myself, for my family and I think it's right." She said: "It is time we changed these outdated rules which are sometimes counter-productive and limit people's choices on how to get tested or treated early for HIV. "What we need is a simpler system that continues to protect the public through encouraging people to get tested for HIV as early as possible and that does not hold back some of our best healthcare workers because of a risk that is more remote than being struck by lightning." Around the world, there have been four cases of health workers infecting patients, none of which was in the UK. Under current guidelines healthcare staff with HIV must not carry out "exposure prone procedures" - where the worker's blood could contaminate the patient's open tissues. These procedures include those where the worker's gloved hands may be in contact with sharp instruments, needle tips or sharp pieces of the patient's bone or teeth, according to the UK advisory panel for healthcare workers infected with bloodborne viruses. Under the new system, healthcare workers with HIV will be allowed to undertake all procedures if they are on effective combination anti-retroviral drug therapy. says the risk to patients is "negligible"
They must also have an undetectable viral load of HIV in their body, and must be regularly monitored. Public Health England will set up a confidential register holding data on infected workers. About 110 staff currently working in the NHS, including doctors and midwives, are covered by the current regulations, Prof Davies added. The change applies in England, Wales and Scotland, but does not yet apply in Northern Ireland, which will make an announcement at a later date. Deborah Jack, chief executive of the National Aids Trust, welcomed the new policy for being "based on up-to-date scientific evidence and not on fear, stigma or outdated information". Sir Nick Partridge, chief executive at Terrence Higgins Trust, said: "Advances in medication have transformed what it means to live with HIV, and it's great to see regulations starting to catch up." About 100,000 people in the UK are living with HIV, although experts say a quarter of those who are infected do not know they have it. In 2011, there were around 6,000 new diagnoses of HIV in the UK.